Question: After elections, people who don’t get elected often deactivate from our fraternity. How do we stop this? Answer: This is very sad. Just to clarify though, I hope by deactivate you mean quit. I know some fraternities have an ‘inactive’ status. I absolutely hate that. You either are a brother or you aren’t. There is no middle ground. If they are quitting, it is showing that your fraternity is doing a good job by not electing these guys. If they really are that fickle about the fraternity, then they don’t deserve to hold a leadership position. 1) Talk to these brothers and find out why they are quitting. You need to be able to identify the problem before you can solve it. 2) Evaluate what you are doing. Does your election process damage the relationships between brothers in your chapter? For example, if you hold an open debate about the merits of each brother up for election, I can see how that could piss some guys off. No one wants to be publically critiqued. 3) Decide if your current structure works. Obviously, your fraternity needs to have elections for certain positions. However, I am sure you are having elections for positions that really aren’t necessary. If elections are a problem in your fraternity, then only have them if necessary. 4) Go to shorter terms. Guys are ticked that they aren’t getting elected. If each position was a semester appointment instead of a year, then that might give hope to brothers who lose. They will see that they can run again in a few short months. Of course, this could completely backfire because you are now having more elections. 5) Make sure the elected leaders do their job and make the fraternity strong. If your chapter is thriving then your brothers will be excited and happy to be part of the brotherhood. Happy brothers don’t quit, even if they lose elections. That is how I would answer your question directly. However, I think you are better off letting them quit. Losing is part of life. If you can’t handle it like a man, then that is your loss. 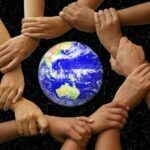 Society tries too hard to placate losers – and we are all losers at some point. By trying to appease losers, you are setting up a culture where crybabies get rewarded. Is that really the type of organization you want to a part of? Trust me on this one – because I know. I was a loser. I lost my first election for fraternity president to a more qualified brother. I was only a sophomore, and clearly wasn’t ready for the position. I didn’t realize that though at the time. And when I lost, I was crushed. But I got over it, and when it finally was my turn I was a better leader as a result. I realize this is tough because a lot of chapters are struggling to keep their numbers up. I highly encourage you to not try to appease the guys who lose. Instead, focus on making your fraternity the best it can be. This will keep future brothers from ever leaving your chapter. On a separate note – I know a lot of you are going through elections. 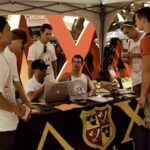 Be sure to check out my article – How to Win Your Fraternity Election. 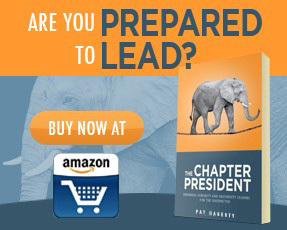 Also, I devote an entire chapter of my book – The Fraternity Leader – to helping you get elected.